Don't go overboard with your nautical theme. Keep it classic and elegant with these stunning frames from our new collection! 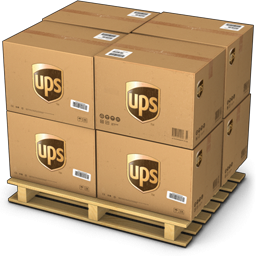 Get your digital photos off your mobile device and displayed where everyone can enjoy them. This frame is the ultimate show piece for your special vacation pictures. Our lovely frame is crafted from wood and features a muti-level wide border with two real metal bands on either side. The natural distressed look and soft pastel colors will enchant. 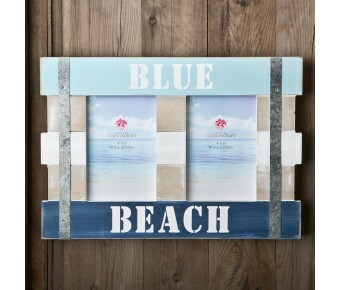 The frame features the words 'Blue Beach' in white lettering. The frame is not easel backed but has two hooks to hang on a wall. Make sure your clients don't miss this double 6 x 4 vertical frame on your shelves when they come looking for a nautical themed picture holder! 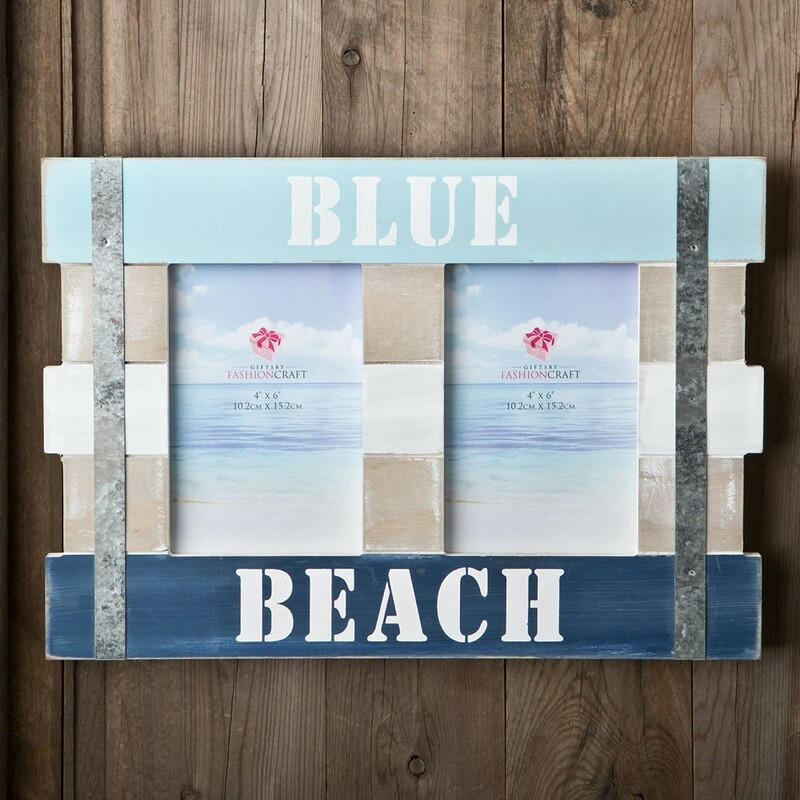 Size is 13 1/2" x 9 1/2"
Show off your vacation pictures in a delightful nautical themed frame!